Find cloud services with a valid StarAudit Certificate, published Self-Assessment report or approved datacentres. Datacenter HP - Hrvatska pošta d.d. 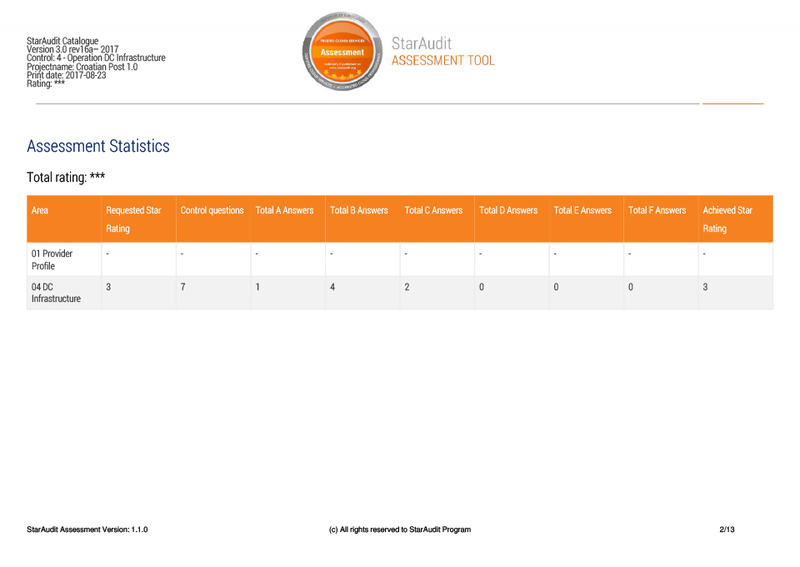 Please use StarAudit Report Download Interface (left side) to download the full report. 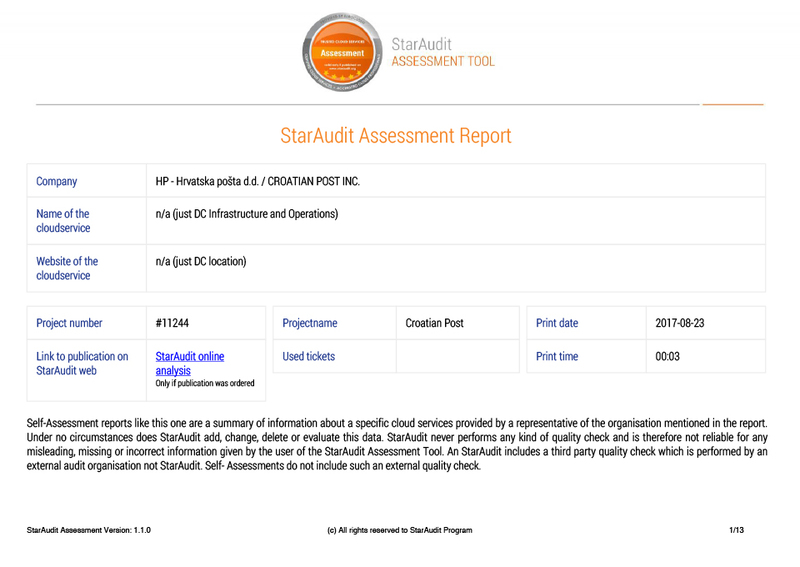 I agree that StarAudit can use the information provided in this form to be in touch with me via e-mail and to provide updates or information about events, publications and news.